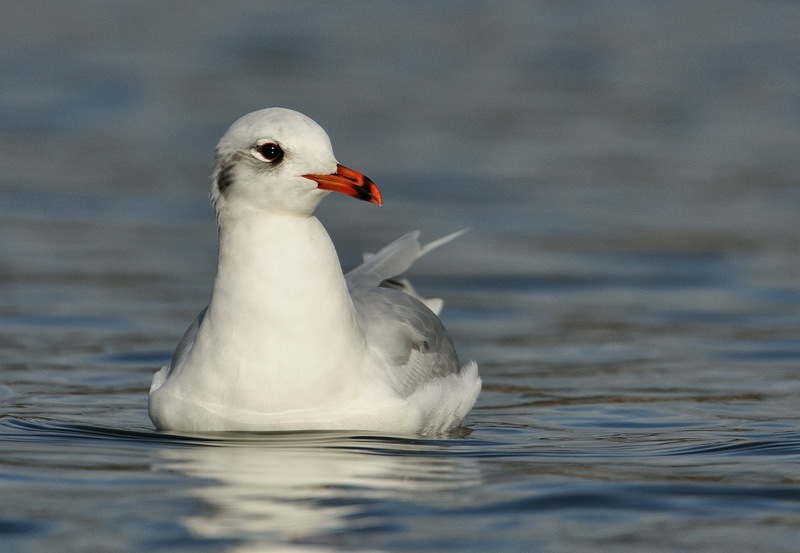 Med Gulls seem to be departing the Cornish strongholds fairly quickly right now. Those big numbers recorded during the winter have dwindled. I saw just one bird, a second winter, at Swanpool, Falmouth on Saturday. Last week the variety of gull species moved up one more bar in Cornwall. A first year Laughing Gull was seen all-too briefly at Marazion beach. As much as I would like to have seen it, I just couldn't get away last week. When I heard about this bird, I was a bit disappointed in not finding one myself as it was pretty obvious one would turn up somewhere after those big gales. Given how dark they are, they should not be too difficult to find! 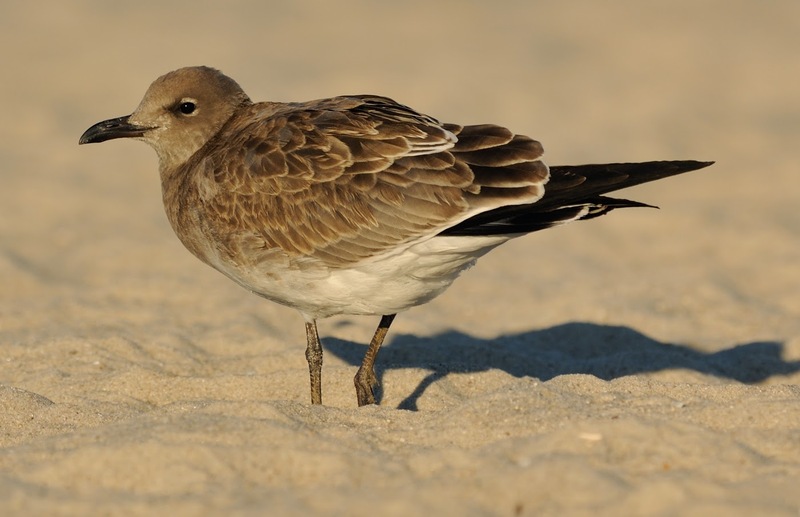 For the time-being I'll post a shot of a similar individual I photographed in Cape May last year. 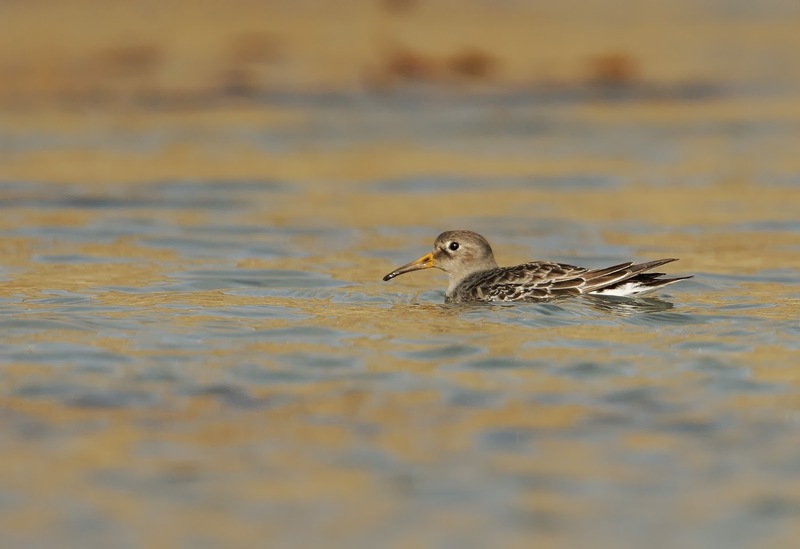 I photographed this adult bird at Newlyn Coombe river outlet on Thursday. Perhaps up to a thousand assorted gulls were feeding today along the beach at Marazion. 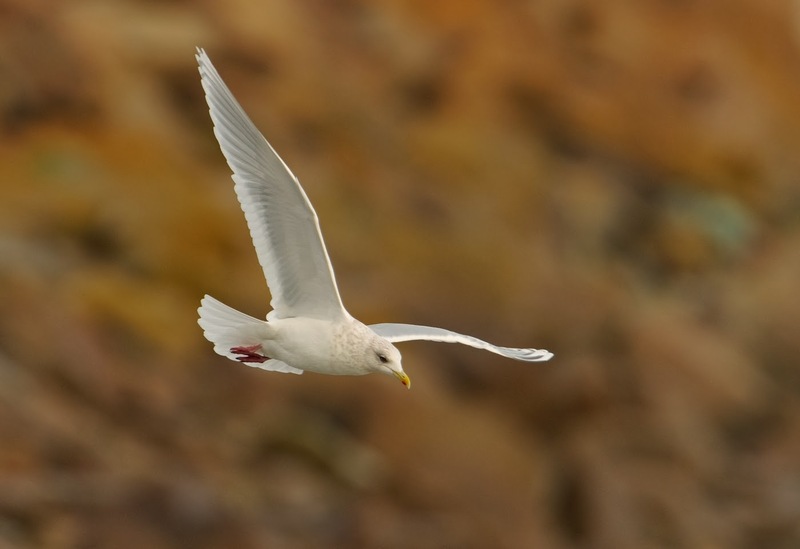 I saw two adult Glaucous Gulls and one Kumlien's Gull, though two of the latter were reported this morning. At least five Kumlien's have been seen in the county with the other three in North Cornwall. 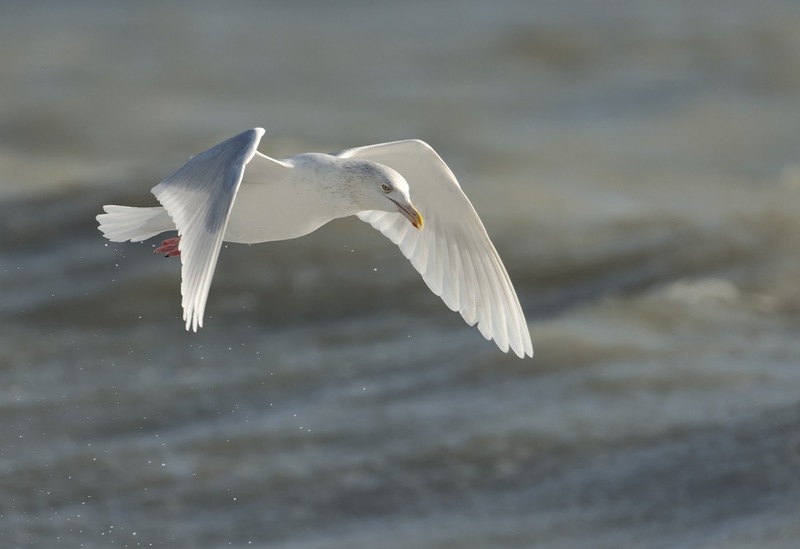 At least six Glaucous Gulls have been seen in Mount's Bay alone. Med Gulls were surprisingly thin on the ground with just an adult and a second year bird seen today. Presumably they have all moved back towards their breeding grounds. A few Kittiwakes and Lesser Black backs were involved today but the lion's share of gulls were Black-headed and Herring. February is of course a big month for migrating gulls but the massive gales have clearly pushed a lot more in to Mount's Bay. 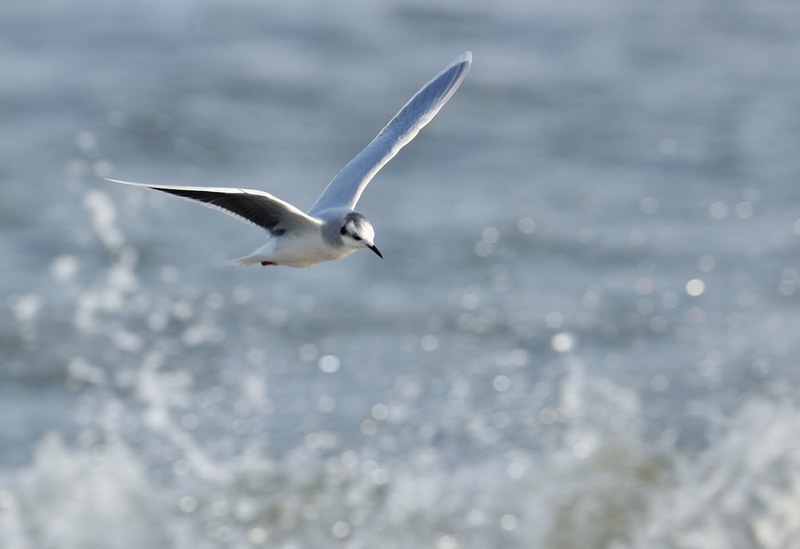 Last week two adult Little Gulls were showing really well at Wherrytown. 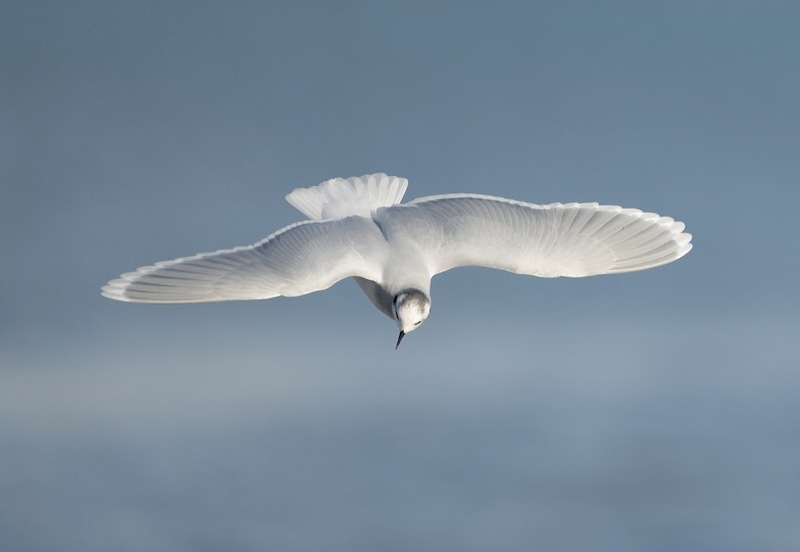 If there are any Little Gulls in Mounts Bay, they always end up feeding along the beach at Wherrytown. And they are always close. 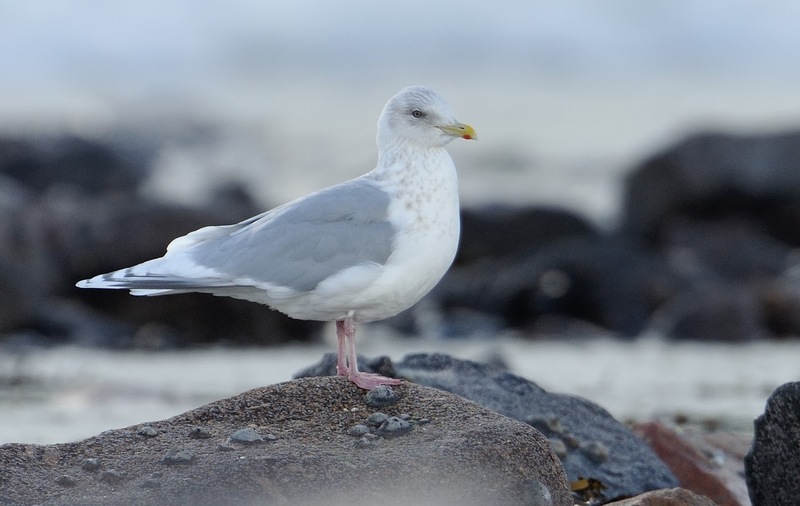 This adult Glaucous Gull has been showing well on the beach at Marazion for several days. There was a feeding frenzy today of a few hundred gulls and this giant of a bird was among them. 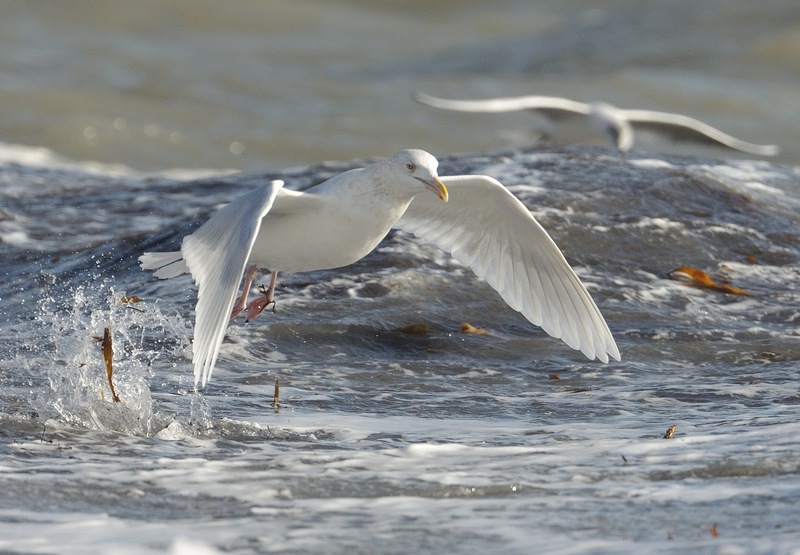 Luckily all the gulls were very close feeding in the surf. The biggest problem was separating the Glauc from the others. I managed to get a few shots but this was my favourite. Among the flock was a good selection of species including several Common Gulls, Kittiwakes, Med Gulls, LBBG's and the Kumlien's Gull. 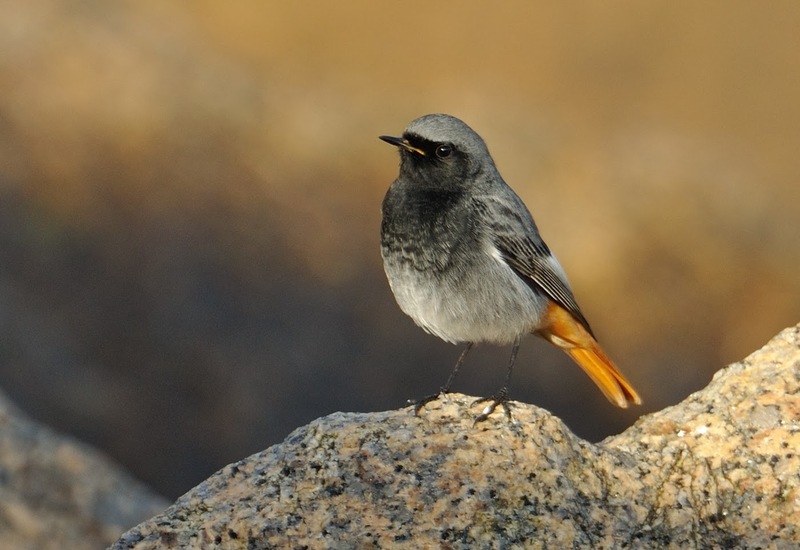 A male and at least five female Black Redstarts are spending the winter near the railway station at Penzance. They like to favour the granite boulders in front of the sewerage works adjacent to the station. The females will perch quite close but this male is less social. I got about five seconds worth, fairly close before it flitted off again. 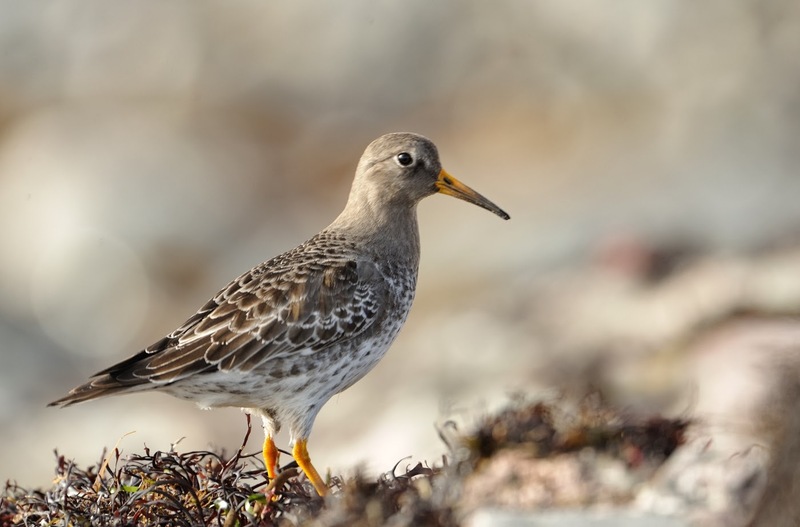 There are approximately 50 Purple Sandpipers wintering around the rocks at the Jubilee Pool, Penzance. I spent a couple hours photographing a few of them last Sunday. They were incredibly confiding and were more interested in feeding. I guess the brief lull in the recent horrible weather gave them good opportunity to get in to the rock pools.